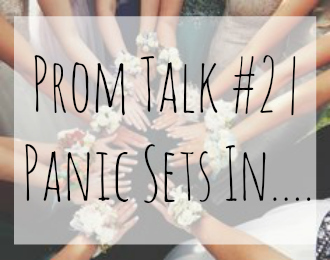 So I'm back for another prom talk. In just six days I'll probably be having one of the craziest days ever of rushing round to have my hair, makeup and nails done before I slip on the most gorgeous dress I've owned on to party the night away with classmates and teachers. Since last time I talked to you about my prom preparation shenanigans I've been rushing round like a mad woman scouring the internet multiple times to find the finishing touches to my prom getup. I'll give you the low down on what's been cracking off since last time I talked to you. So after I bought my prom dress the next thing to sort out was hair, makeup and nails. Because my mum loves me so, so much she's sorted all this out. I'm going to a salon at around two in the afternoon so I'm not rushing round like crazy just before I have to leave the house to get to prom. I'm still yet to find a set hair, makeup and nail look that I'm obsessed with so I'm kind of just scouring Pinterest right now to find some inspiration that I like. 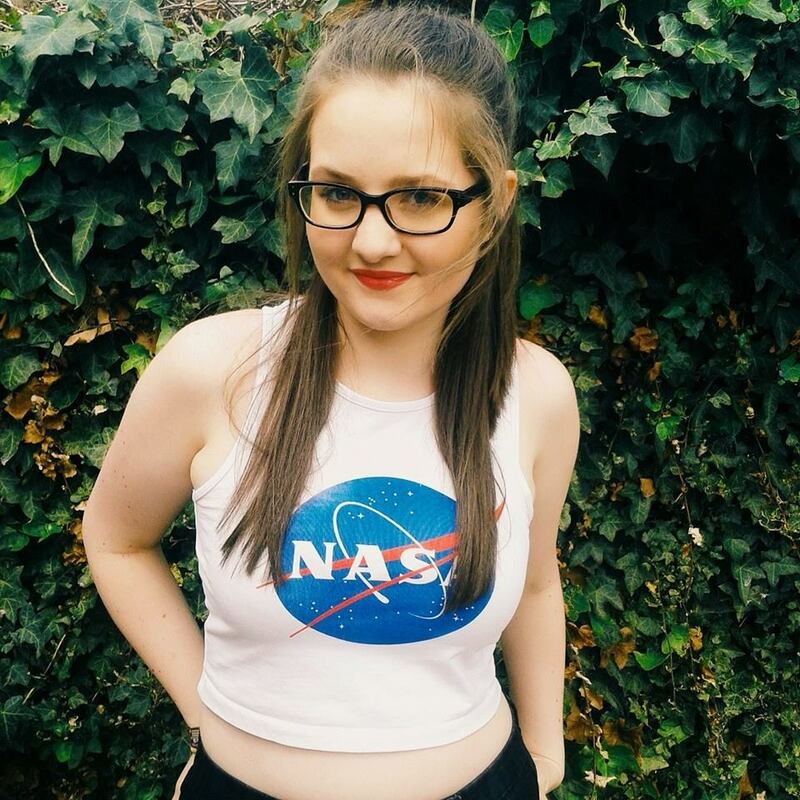 If you find any looks that you think I'll like tag me in pictures on Twitter and Instagram, I'd love to see what you think I'd look good with! Onto the finishing pieces of my prom ensemble. This is where the panic started to set in. I'd found a pair of shoes that I was kind of obsessed with on the New Look website but when I went to order them I literally started crying because they'd sold out in my size so I started panicking about what shoes I was going to wear. This is when crazy woman Chloe set in. Just imagine me hunched over my computer and laptop for hours upon hours looking for the perfect pair of shoes. I decided to check the New Look website again and I found them! The pair of shoes that I’ve bought for prom are a beautiful silver satin with iridescent diamantes with a 3.5” heel. They are stunning and I’m in love with them, I think I prefer them to the original pair of shoes that I was planning on buying so that’s an upside to my panic. My bag was actually quite easy to sort out. I’d been eyeing up a clutch bag in New Look for a while which was silver satin, so it matched my bag, and kind of had rows of beading, pearls and diamantes across the whole of the bag but I couldn’t bring myself to buy it because it was quite expensive for a clutch bag that I wasn’t going to be using a lot. However, I was sent a Godsend when my aunt sent me some money to by a prom bag. I was literally so happy that my aunt sent me the money without knowing that I really wanted this bag! I got the extra money off of my dad and bought the bag. I am definitely in love with it and think it matches my shoes really well. Even though I might not use it all the time, it’ll definitely be coming out for special occasions. What shall I tell you about next? Oh yeah, the bane of my life when it comes to prom. Jewellery. Ever since I got my prom dress the discussion of what jewellery has not only been a conversation had between my mum and I but also other family members. There have been conversations about necklaces, bracelets, dangly earrings and stud earrings. I’m not a lover of jewellery, I won’t lie to you, the most jewellery I ever wear are a pair of stud earrings and two or three simple bracelets which I’ve worn for two years or so. I used to wear rings but I stopped because I couldn’t find any to fit my fingers. Anyway, when I told everyone that I probably was only going to wear a pair of studs and didn’t want anything special I think at least one of my family members had a heart attack about it. I was away on half term about a month ago, I was visiting family in the Liverpool area, and one day we went to ASDA and my mum showed me a nice pair of stud earrings which weren’t too flashy so I let her buy them for. However, then we went into the Debenhams in like the main part of Liverpool the next day. We were just casually having a browse round the jewellery counters and I found them. The most gorgeous pair of stud earrings and matching bracelet, they even matched my dress! I was so in love with them that my mum basically snatched them up before I could change my mind. I don’t know what brand they are but they’re stunning. I feel as if I can wear the earrings anywhere but the bracelet might be again for special occasions. After thinking that everything was sorted after picking up my prom ticket and information from school so all I really needed to do was to get ready and show up the panic set in...again. On the prom group chat that I have with the girls I’m going with, the girl whose mum has set up the car and everything messaged us and told us that because we changed the time of prom that we couldn’t have the car we needed and therefore had to find another car. I basically freaked out. Luckily there was already a car in place that we could use and in a way it’s an upgrade so it’s all good! This is why I’m glad we sorted out transport early, so it was an easy situation to fix. So I think that’s just about it. It’s scary to think that in just five days I’ll be getting ready for prom. Only a couple of weeks ago it felt like absolutely ages away! Have you got your prom this year? Are you all sorted? Are you excited? Have you already had your prom? Was it amazing? Let me know in the comments below, I really want to know all about your prom experiences! Love you all! Luckily for me I haven't had much panic about finding things for prom, apart from wondering whether I still like my dress or not but knowing it would be too late to get a new one! As I'm on the prom comitte, which is a group of 5 girls and 2 teachers, I can definitely feel the pressure in that sense. If the prom is rubbish, all the blame will be put on us so it's quite scary! I'm excited though none the less. I hope you have a fabulous prom! !